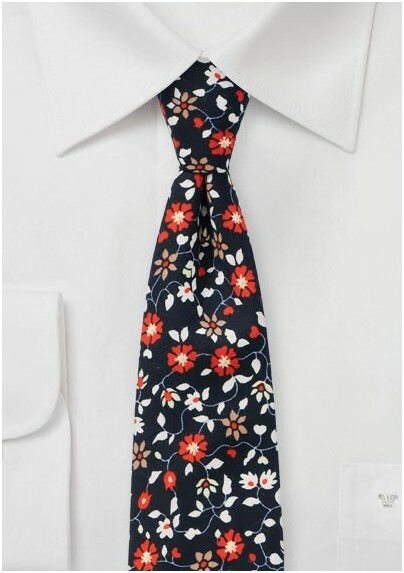 A great new summer tie out of BlackBird's new narrow cut cotton collection. The dark midnight blue background is paired with climbing blossoms in white, red, tan, and yellow. Add to any dark navy, gray, or tan suit for best looks. 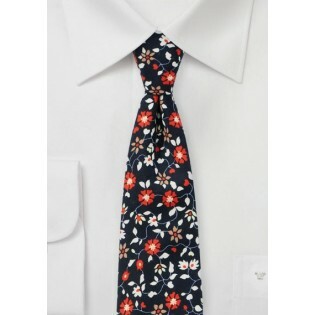 Our stylist also suggest this tie without jacket but with a linen vest or suspenders instead. Made from printed cotton and tailored with a contemporary width of 2.75"